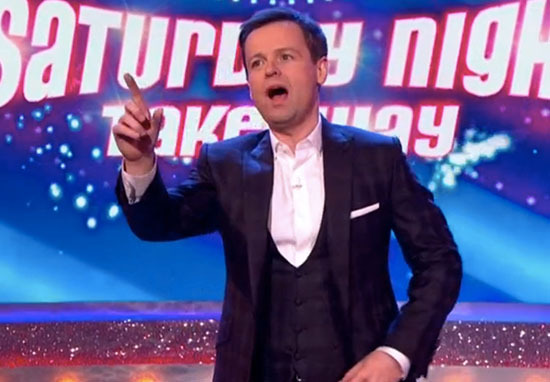 Dec has finished tonight’s Saturday Night Takeaway with his head held high doing the job on his own, showing his true presenting talent following Ant McPartlin’s arrest. 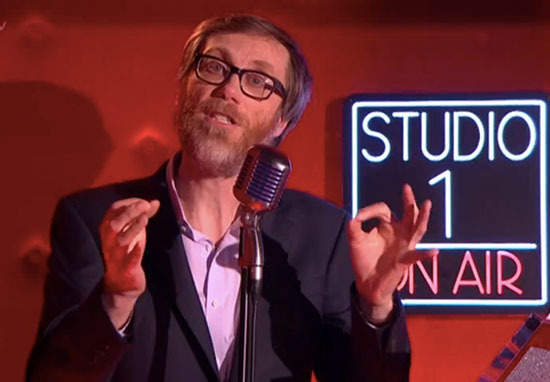 Opening and closing the show to a standing ovation, Dec’s nerves were quickly settled as he opened into a joke about having to finish the job himself, and kept guest announcer Stephen Merchant from coming down to the stage as a stand in, on the basis he’d make him look like a short arse. Thank you for that very warm welcome. Welcome to your Saturday Night Takeaway. Thank you for the warm welcome but we must get on. It wasn’t the intro monologue most were expecting; beside the joke Dec made no reference to his colleague Ant McPartlin’s arrest for drink-driving. It has brought scenes of harmony never been seen before in the Twitterverse. Well done Dec!